A 17-month contract involving Lexus dealers in Edmonton, Lexus Canada and the Edmonton International Airport is garnering national media and Internet attention, all for a unique pairing of promotion and customer service. 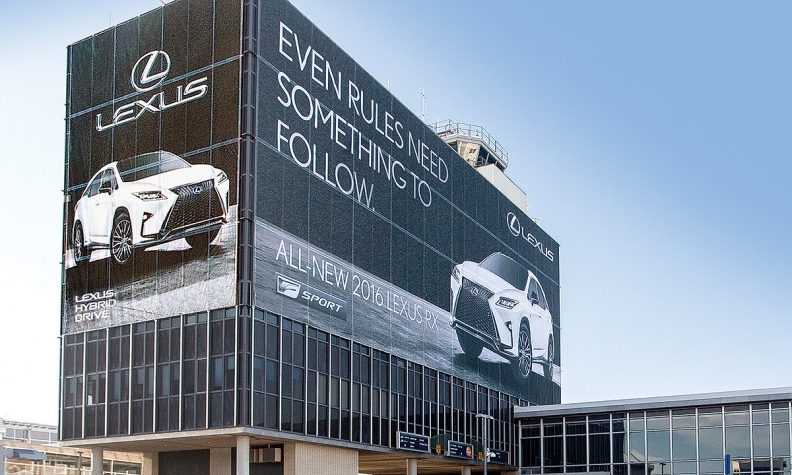 In what Pattison Outdoor Advertising Vice-President and Prairie Region General Manager Brian de Ruiter calls the “integrated Lexus program,” the entire airport tower building has been wrapped in a giant Lexus billboard, and 30 prime Lexus customer-only parking spots have been reserved in the parkade, closest to the terminal. No one close to the project would discuss the cost but its reach has been extensive. Some media reports called the parking spots elitist; supporters call it creative marketing. The not-for-profit airport sees it as a fund-raiser. “Our Edmonton area dealers, in partnership with Lexus Canada, wanted to take advantage of this high-visibility and high impact first-to-market opportunity,” said a Toyota Canada spokesperson. On the logistics side of the supply chain, Dawna Peat, responsible for strategic development for TFT Global based in Ingersoll, Ont., explains that her company’s model is also remaining steady through the dip in the Canadian dollar, but it’s for a different reason. However, at least in these cases, parts and logistics providers are finding that the lower Canadian dollar has been a manageable factor.